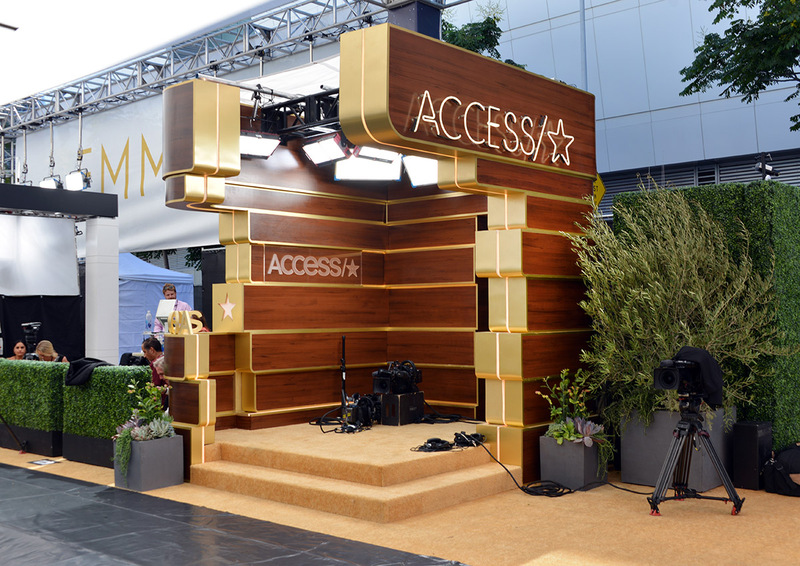 NBCUniversal’s “Access” upgraded its “gold carpet” (or, in more common nomenclature, red carpet) arrivals position at this year’s Primetime Emmy Awards courtesy of designer James Connelly. Mixing a combination of design cues including mid-century modern and conceptual architecture, the booth-style design captured Hollywood glamour with a touch of elegance. The design used wood tones and gold finishes with undulating, stacked panels to create the setup for hosts Kit Hoover and Scott Evans, with a view of the arrivals area behind. Rendering of the “Access” design. Like all of the various setups, the broadcast lighting had to work with the design to create a fully integrated space with room for talent, producers and guests. 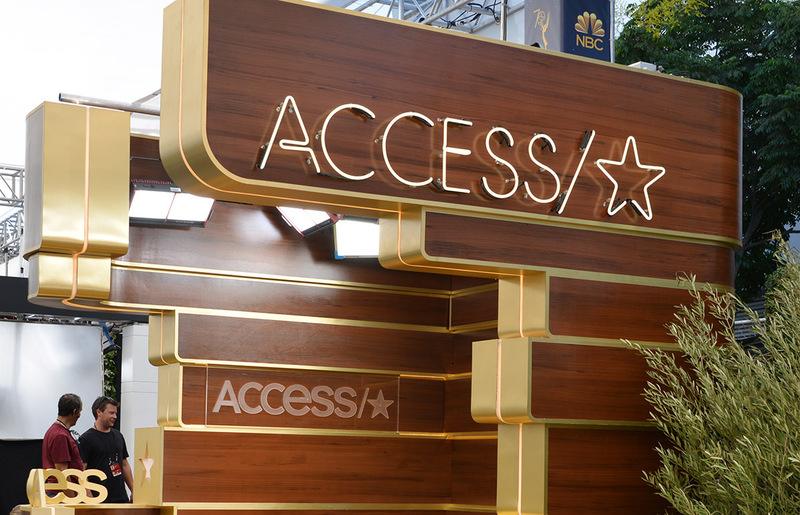 Other design touches include a neon sign with the stylized “Access” logo, along with frosted logo panels and edge lighting on the faux wooden bands. Images courtesy of James Connelly.